We are pleased to present you with our latest gaming giveaway. Wccftech has partnered with Trion Worlds for a Devilian giveaway, bringing you 3K beta codes! 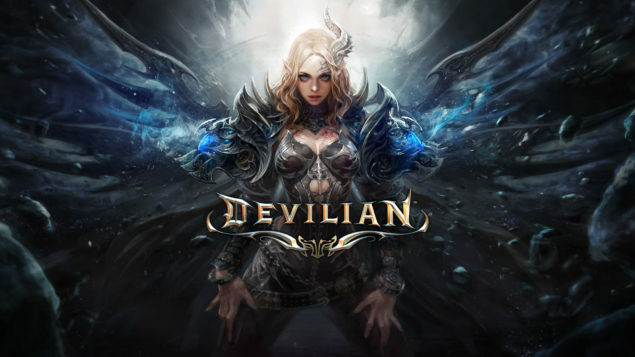 In case you’re not familiar with it, Devilian is an action MMORPG with isometric view developed by Korean studio Bluehole Ginno Games and published in North America & Europe by Trion Worlds. It’s very similar to Diablo in core gameplay, but it also offers most of the features you can usually find in full fledged MMORPGs. Here’s the official description of the game. Play as a half-devil hero fighting to save your world from a fallen god and join thousands of others in a vast free-to-play Massively Multiplayer Online Action RPG. Spread your wings, sharpen your steel, and unleash the devil within! Codes for the Devilian giveaway are handed on a first come, first serve basis, so hurry up. Once you’ve grabbed a code, you can redeem it at this address (you’ll also have to create a Trion Worlds account if you don’t have one already). The second Closed Beta Event for Devilian will start tomorrow and run through November 2. Enjoy!